What’s one giant in your life, right at this moment? Something that’s challenging you. Something that’s requiring perseverance. Something that you won’t be defeated or defined by. The war you fight isn’t only waged on the obstacle itself. It’s also fought within the landscape of your mind. How do we overcome doubt and the negative thoughts that squeak into our heads? Our own biases? Our preconceived notions? How do we start and stay fresh and invigorated when faced with life’s giants? The giant is overthrown when your mind says it is. Simple as that. You *will* find a way forward. Our minds are powerful beyond measure. Embracing life’s challenges means living well. Why? Because you’re able to tackle and overcome when you accept what is as what is. That doesn’t mean the challenges define you; it simply means that you acknowledge reality. And in acknowledging reality, you’re empowered to move forward. Giants fall. Take it head-on and powerfully arm your mindset. 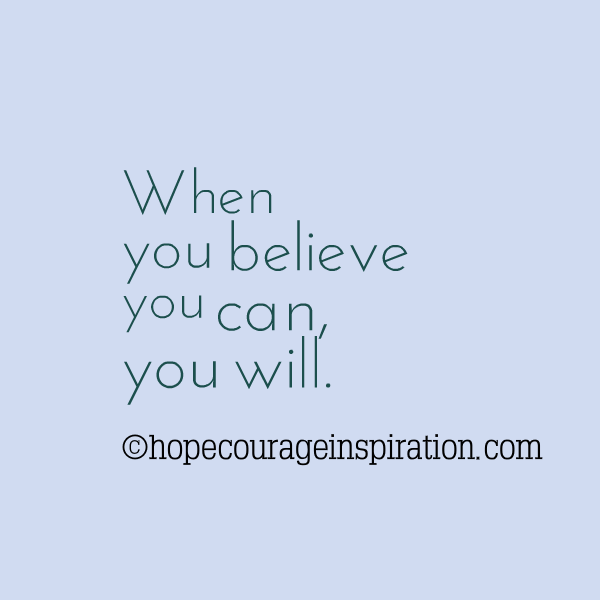 When you believe you can, you will.